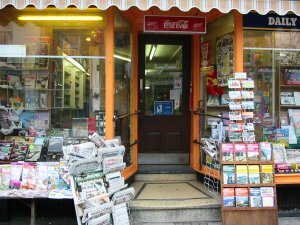 Good choice of confectionery including Belgian Chocolates and liquers and sugar free products. 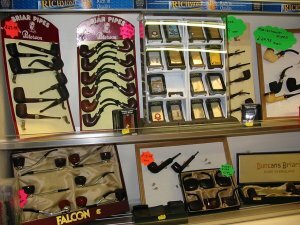 The widest range of cigarettes and tobacco in the area including eight varieties of loose tobacco. 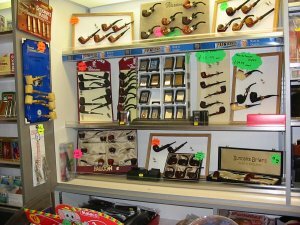 Rolling Machines and papers, filters, pouches and tins. Cigarette holders, ‘Zippo’ and ‘Ronson’ lighters. Porthmadog rock, Welsh fudge, shortbread and sweets. Fridge magnets, tea towels, thimbles and badges. Postcards and greetings cards for all occasions. 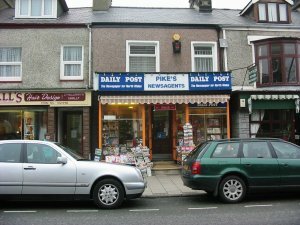 W.Pike, 63 High Street, Porthmadog, Gwynedd. Page design and maintenance by Whispernet. All design and items on this site are ©copyright Whispernet, all rights reserved.